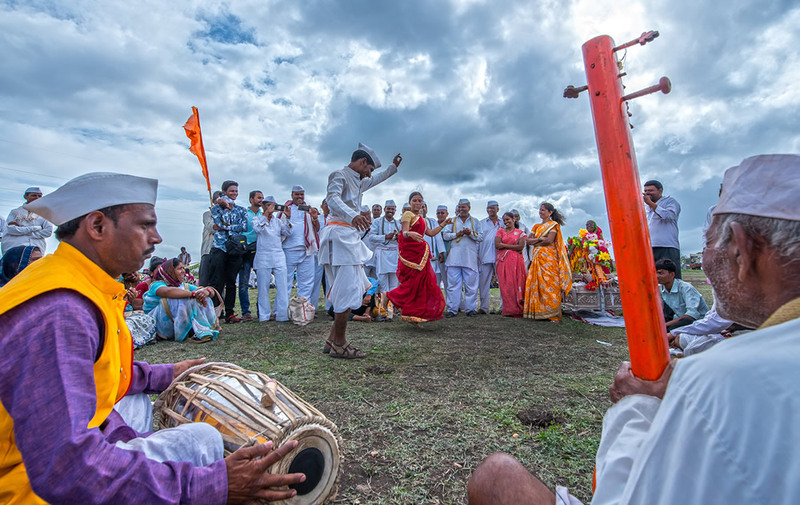 Palkhi festival showcases the distinctive feature of the Maharashtrian culture (India). 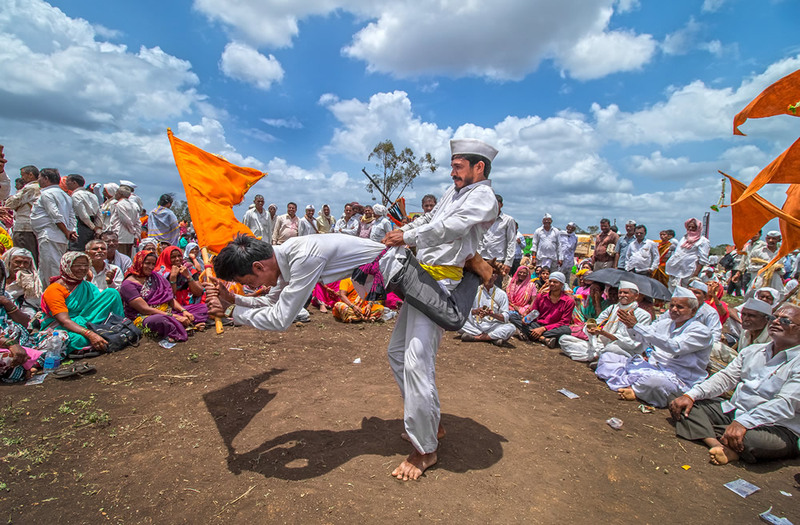 Palkhi is a 1000 — year old tradition which was started by some saints of Maharashtra (India). 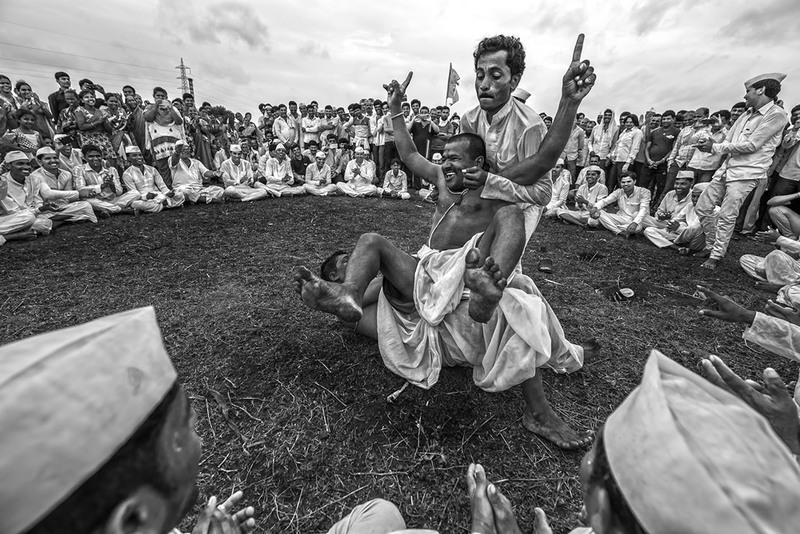 and is still continued by their followers called as Varkaris (people who follow a Vari, a fundamental ritual). 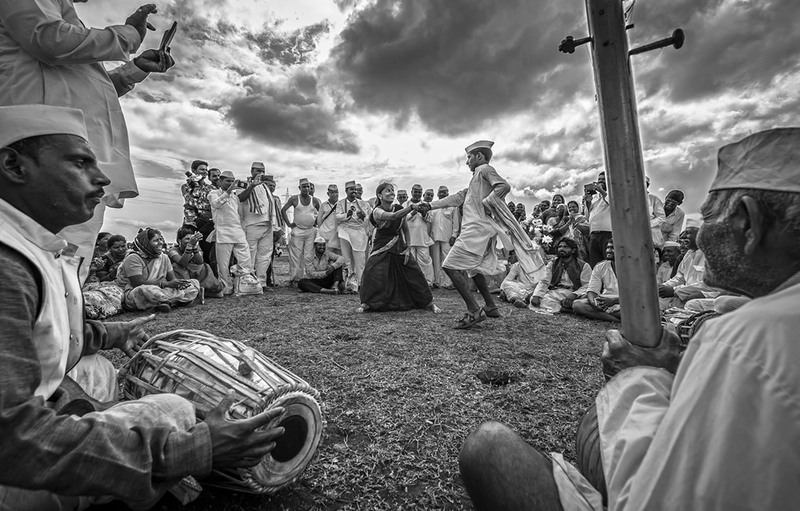 People collectively go singing and dancing, chanting Dnyanba-Tukaram in what are called as Dindis (organised group of Varkaris) to the holy town of Pandharpur (a small town in the district of Solapur) in Hindu months of Ashadh (June-July) and Karthik (November-December). 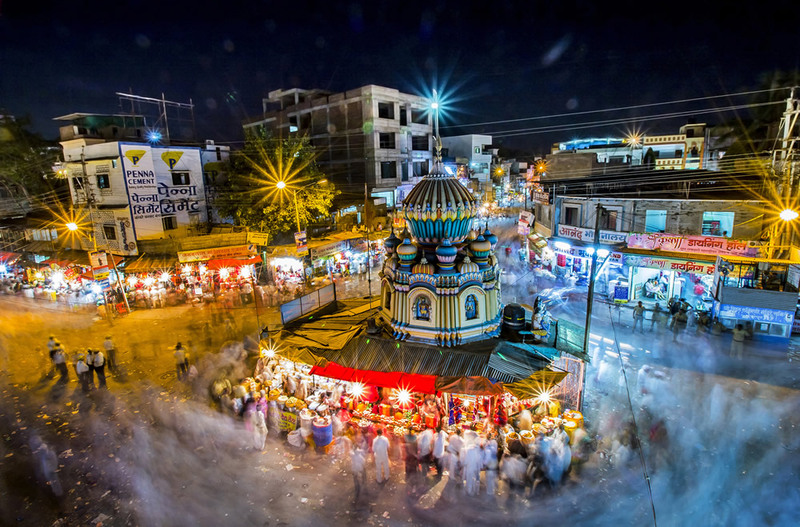 The Palkhi starts in the month of Jyeshth (June) and the whole process lasts a total of 22 days. 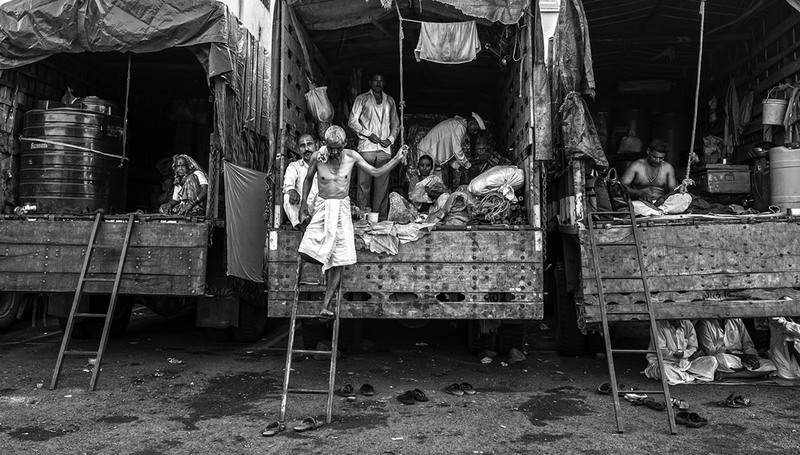 Every year on the eleventh day of the first half of the month of Ashadh, the Palkhi reaches Pandharpur. 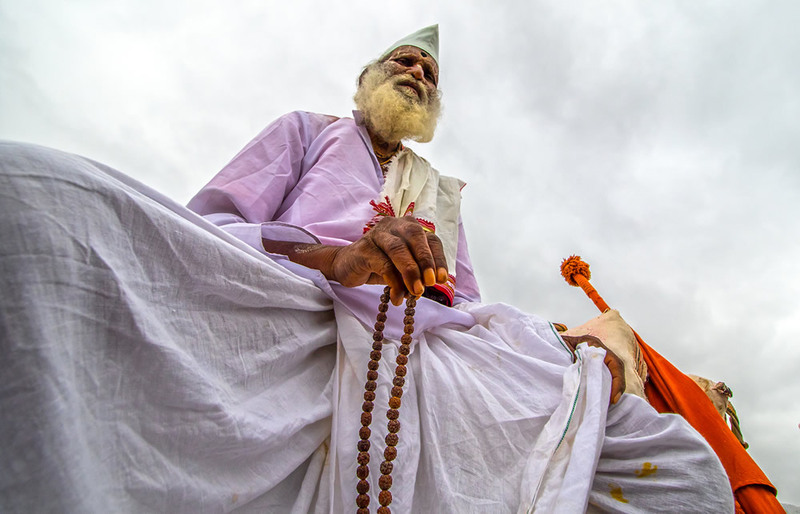 Every saint, right from Sant Dnyaneshwar to Sant Tukaram was following the Vari tradition. 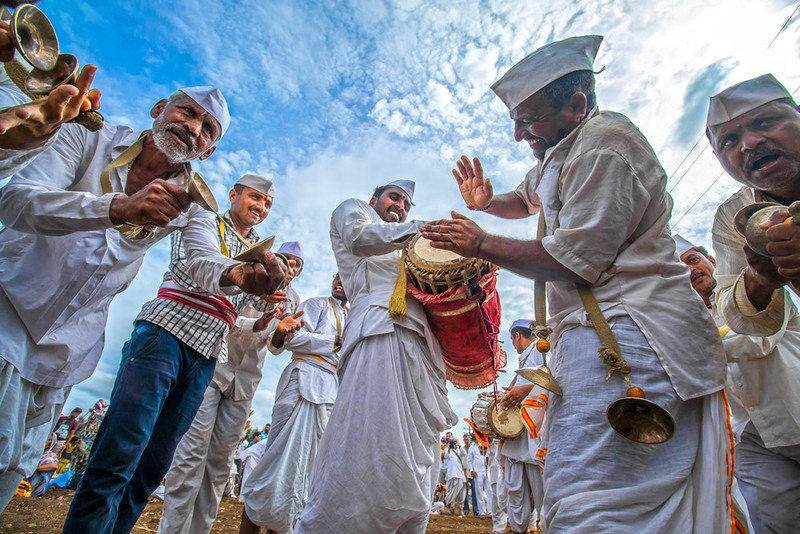 In the year 1685, Narayan baba, the youngest son of Tukaram was a man of innovative spirit and decided to bring about a change in the dindi-wari tradition by introducing the Palkhi, which is a sign of social respect. 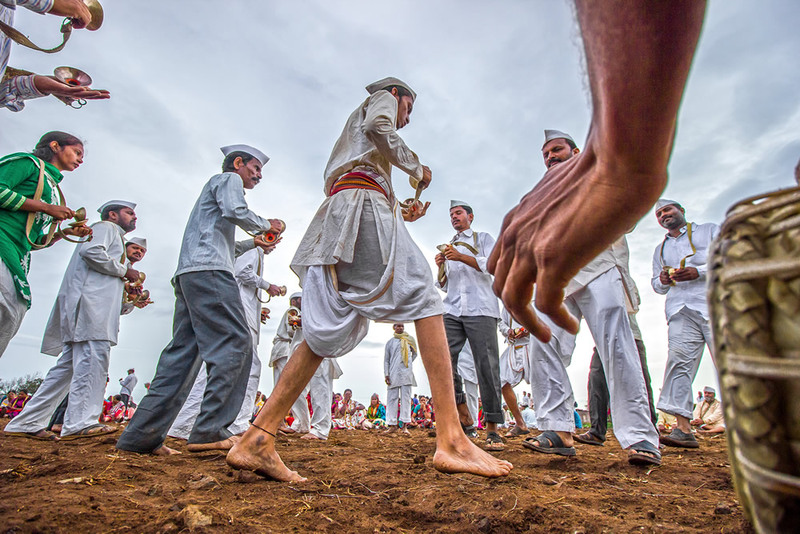 He put the silver padukas (footsteps) of Tukaram in the Palkhi and proceeded with his dindi to Alandi where he put the padukas of Dnyaneshwar in the same Palkhi. 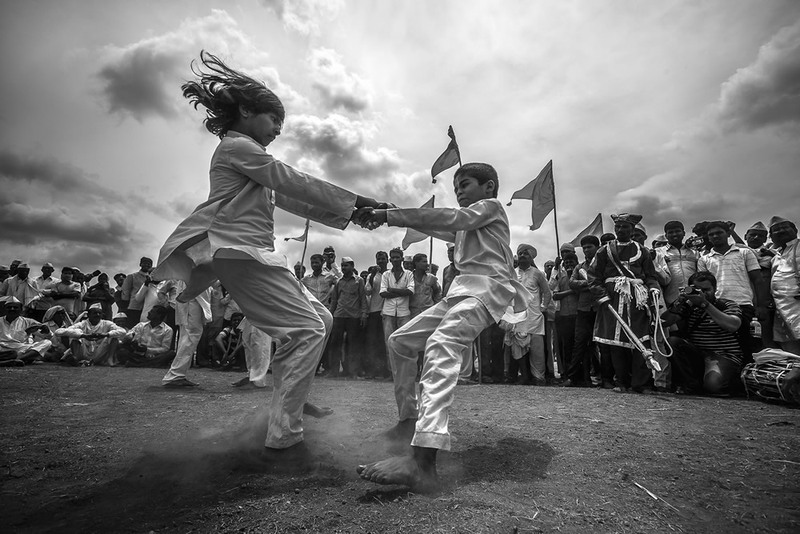 This tradition of twin Palkhis went on every year, but in 1830 there were some disputes in the family of Tukaram, concerned with rights and privileges. 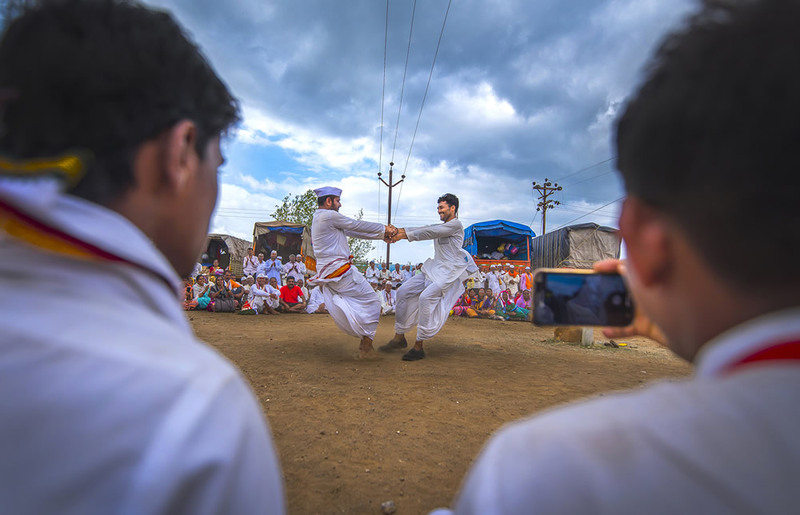 Following this, some thoughtful persons decided to break-up the tradition of twin Palkhis and organise here after, two separate Palkhis Tukaram Palkhi from Dehu (Pune Maharashta) and the Dnyaneshwar Palkhi from Alandi (Pune Maharashta). From that time till date, both the Palkhis meet in Pune for a brief halt and then diverge at Hadapsar to meet again at Wakhri, a village nearby to Pandharpur. In course of time, this tradition is becoming popular day by day. 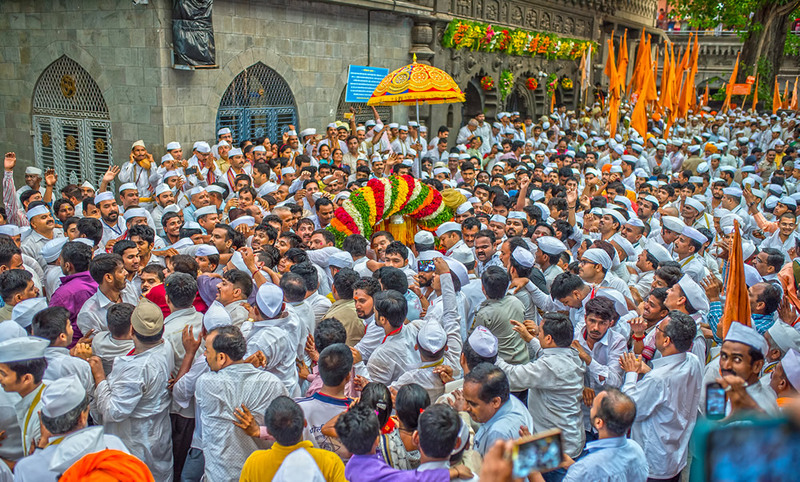 A total of approximately 2 lakh devotees proceed along with the Sant Tukaram Palkhi from Dehu village, while a total of 4 lakh devotees march along with the Sant Dnyaneshwar Palkhi from alandi village. 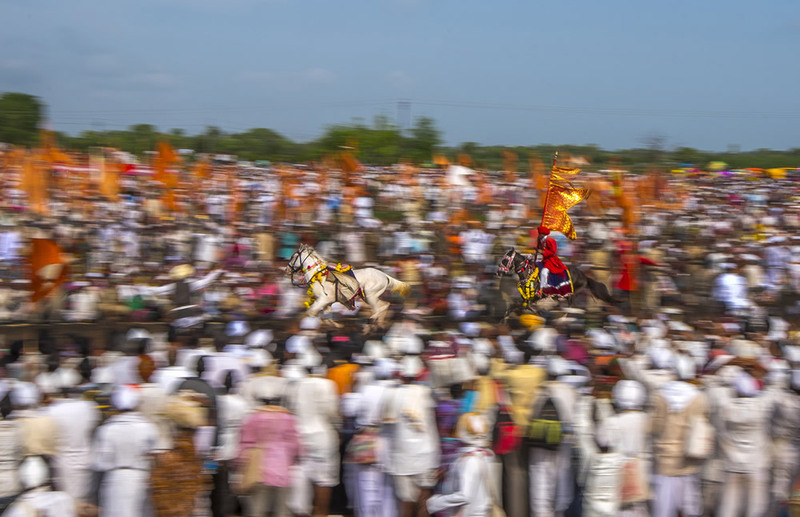 At present a total of 43 Palkhis including the above two visit Pandharpur village every year. 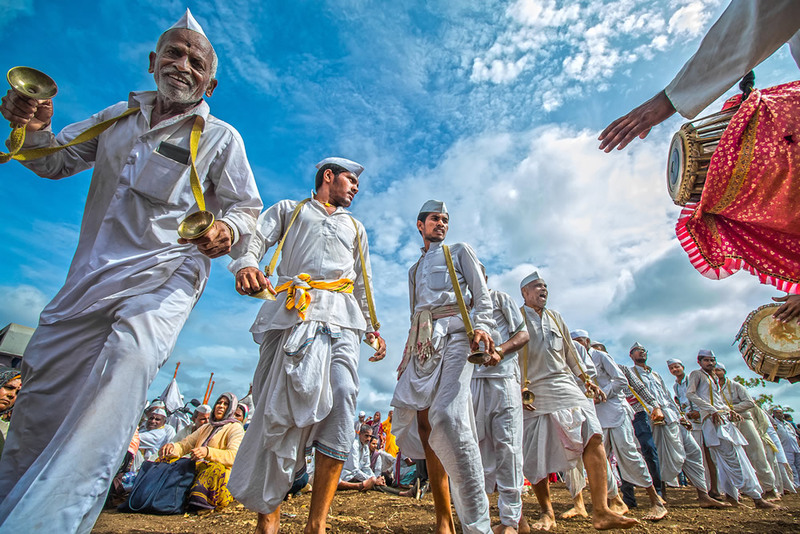 Thousands of people called ‘Varkari’ reach Pandharpur from Alandi or Dehu after walking for about 250kms in Aashad (a hindu month which coincides with June/ July) Ekadashi (11th day of the moon). 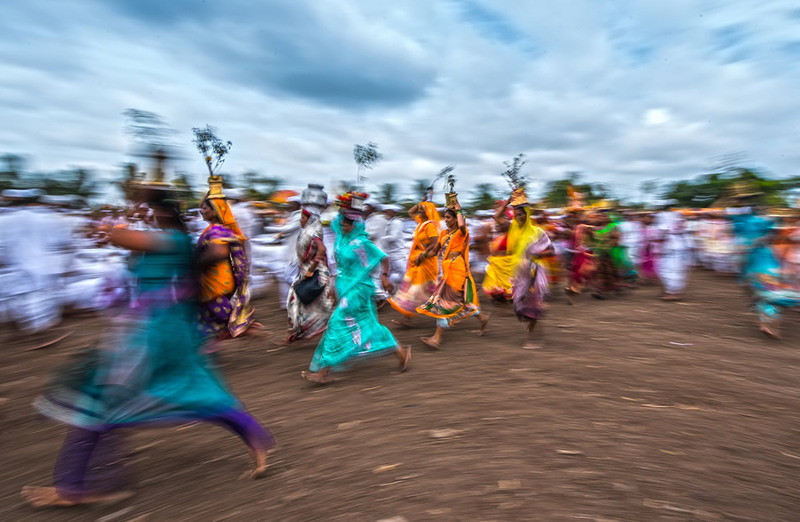 They walk with palkhis (chariots) carrying paduka (sandals) of the saints singing sacred songs. 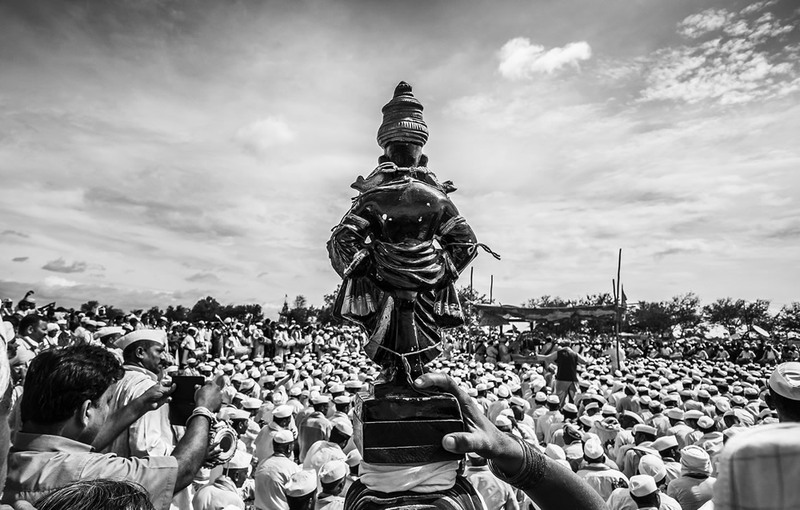 Varkaris are a Hindu religion sect who workship Vithoba (or Vitthal), an incarnation of Krishna. Devotee chants the name of “Mauli Vittal” all the way & completes the yatra by feet on Ashadi Ekadashi at Pandharpur. 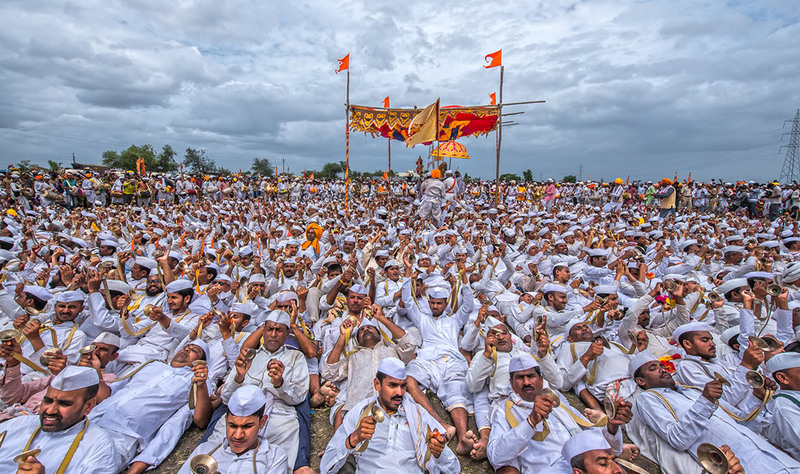 Around 8 lakhs of warkaris flocked the city and their chants of “Ram Krishna Hari, jai jai Ram Krishna Hari” and Dnyanba-Tukaram (the famous Maharashtrian saints, Dnyaneshwar and Tukaram) reverberated on the streets. 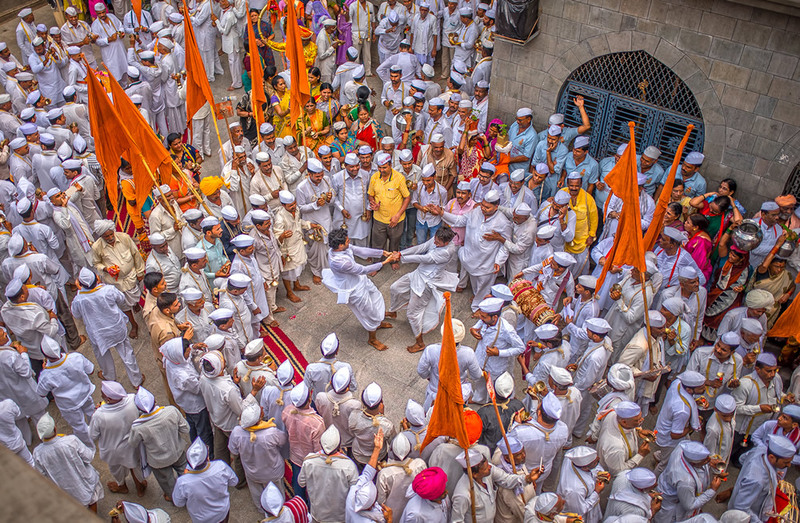 Sant Dnyaneshwar Maharaj palkhi, the journey begins from Alandi temple Pune. Before proceeding for Palkhi, Varkari (Devotee) dance with joy in the temple. 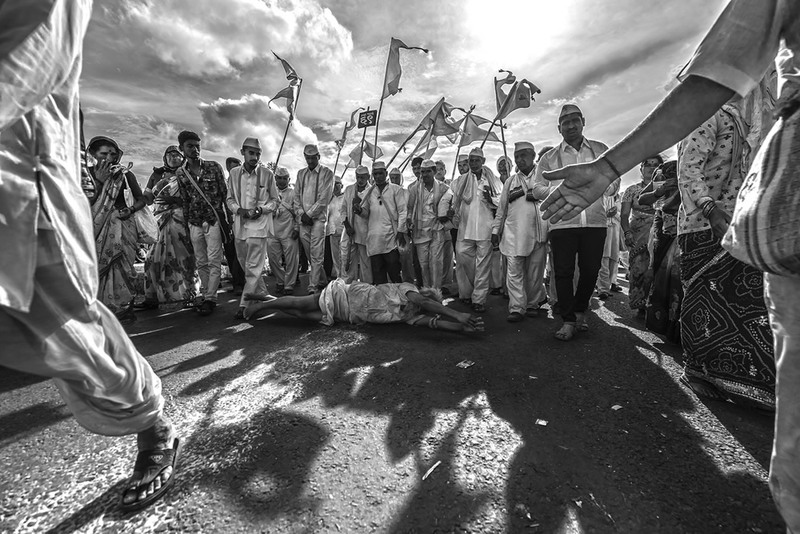 Varkari (Palkhi Devotee) people who follow a Vari (Palkhi), a fundamental ritual. 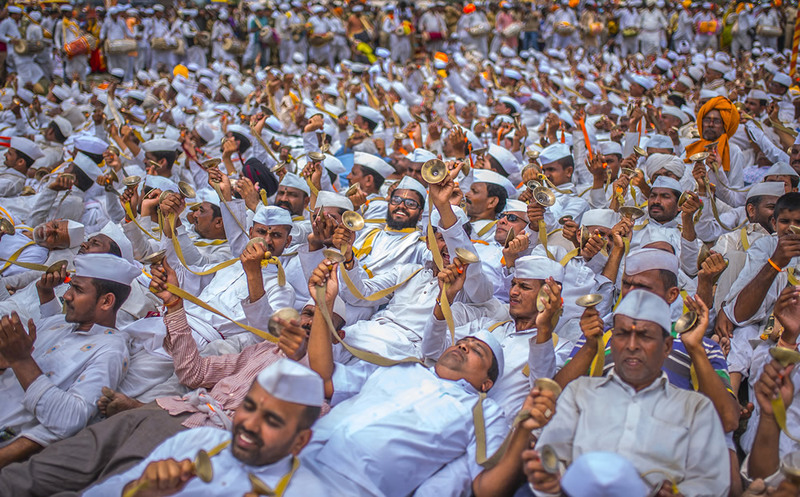 Palkhi Devotee enjoying bhajan with dance. 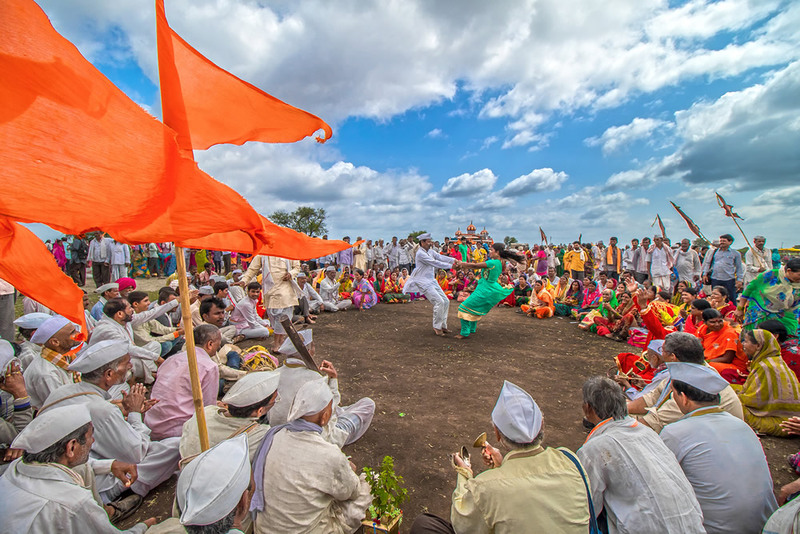 Devotees carrying Tulsi (तुलसी) plant on their head into the holy Ringan Program. 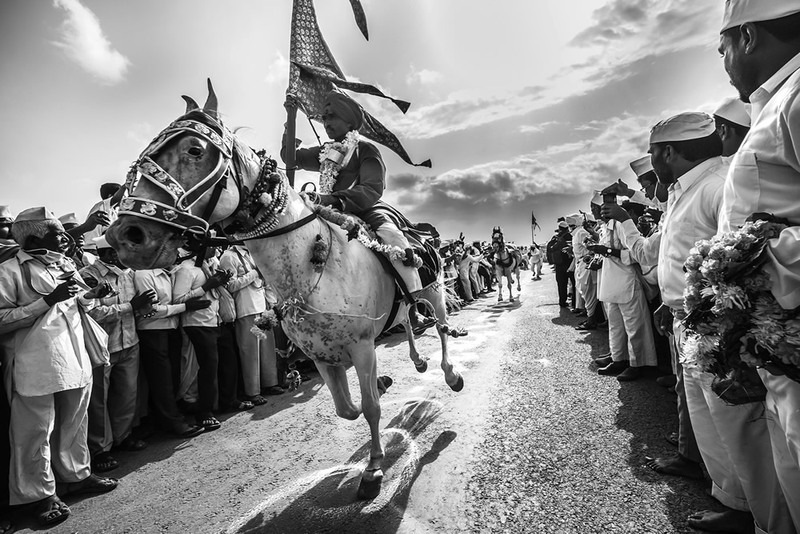 Standing Ringan: When the UBHE (standing) RINGAN is setup, the horses are first brought onto the walking path. The CHOPDAR then instructs the DINDIs to assemble in rows on either side along the walking path. The row-wise arrangement is duly formed. All the DINDIS then start performing frolic, fun, jest and sport without leaving their positions. Following this, the CHOPDAR leads MAULIs horse along with the other horse rider around MAULIs PALKHI from the right. While they complete this perambulation, the WARKARIS reverentially chant MAULI!! MAULI!! while still playing the cymbals and PAKHAWAJ. 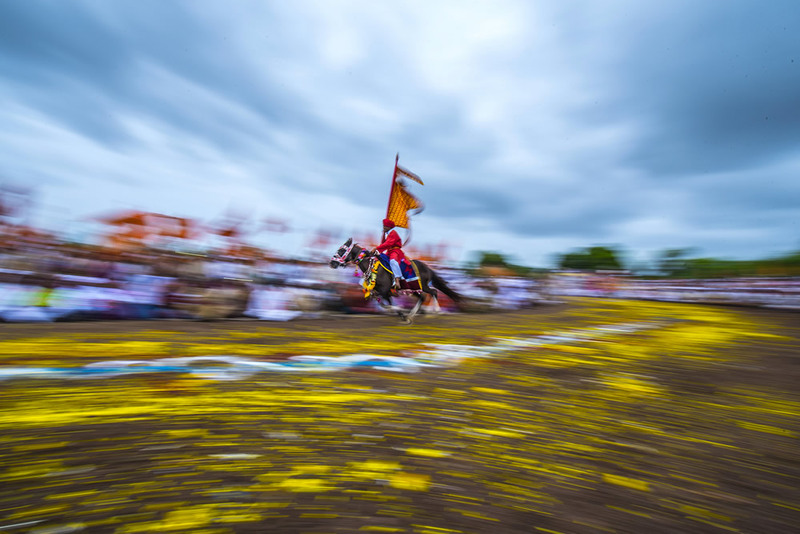 This continues till the horses reach their initial position in the PALKHI. After this MAULI’s AARTI is performed. And UBHE RINGAN SOHALA comes to a close. Circular Ringan: Bajirao vihir,Vakhari, Pandharpur. For the circular RINGAN, MAULI’s PALKHI remains at the centre. 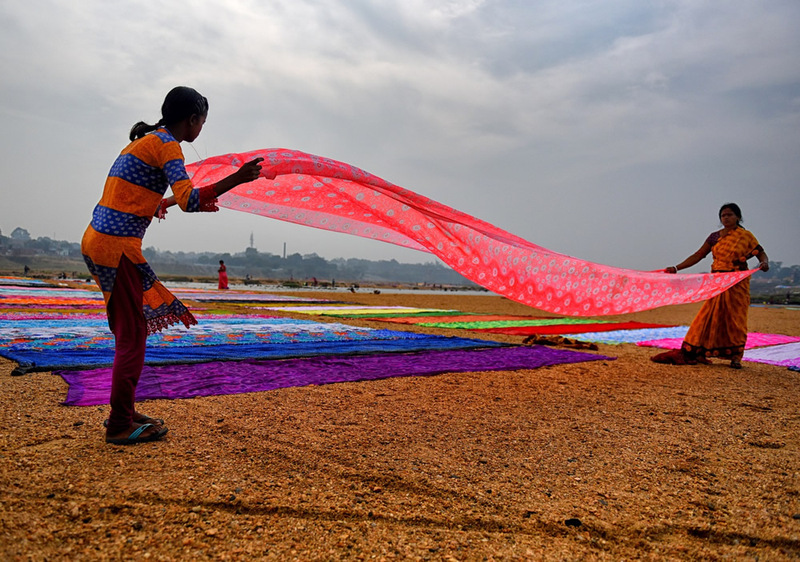 This is surrounded by a loop of PATAKADHARIs (WARKARIS or carriers of PATAKA – cloth streamers atop a pole, similar to a triangular flag). 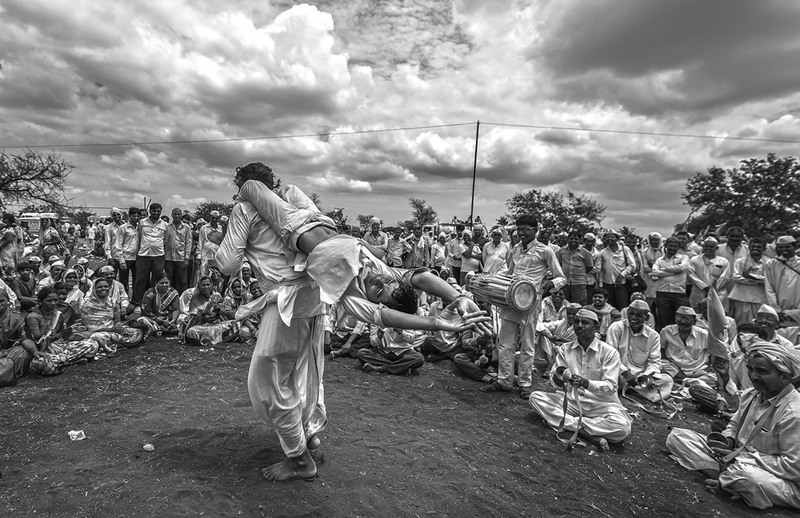 Next in the concentric arrangement are people who have come to witness this sport, with backs to the PATAKADHARIs. Then is the circular pathway for the horses to gallop. Facing them and slightly away from this circular runway are spectators who seat themselves in order to watch the exciting proceedings. Farthest away from the centre are some WARKARIS enjoying their own games and sport. This is the general arrangement that gets adopted or followed. 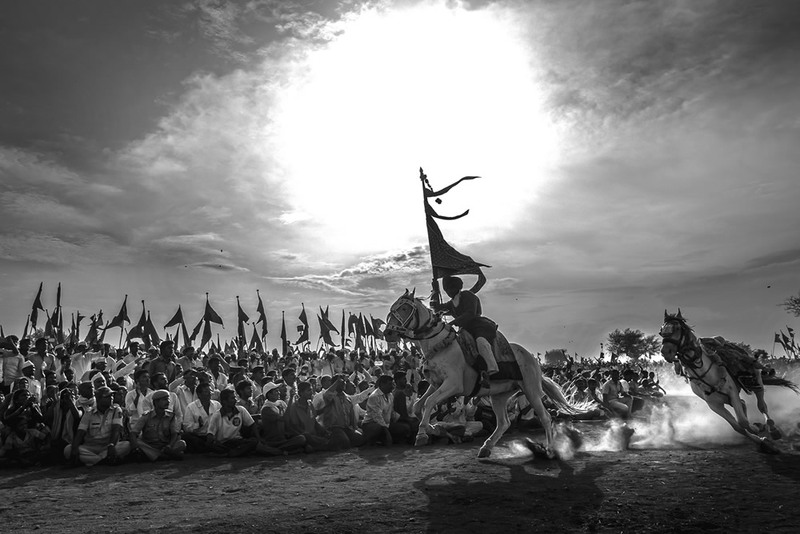 The most demanding task that the CHOPDAR has to perform is to create the actual pathway for the horses to gallop – almost through an ocean of humanity. Circular Ringan: Thakurbuwa Samadhi, Velapur. 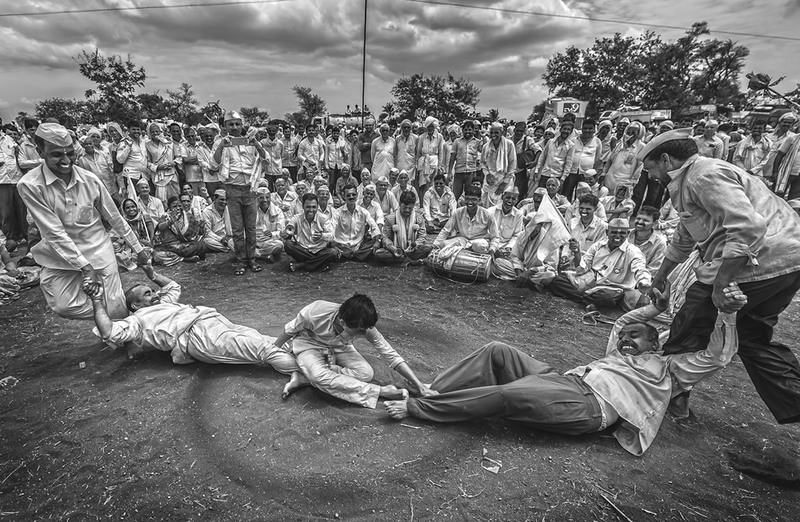 Once the Ringan finishes, all Varkaris sleeps in circular arrangement and performs Aarti. It seems God (Vitthal) is enjoying Aarti performed by his Devotees. 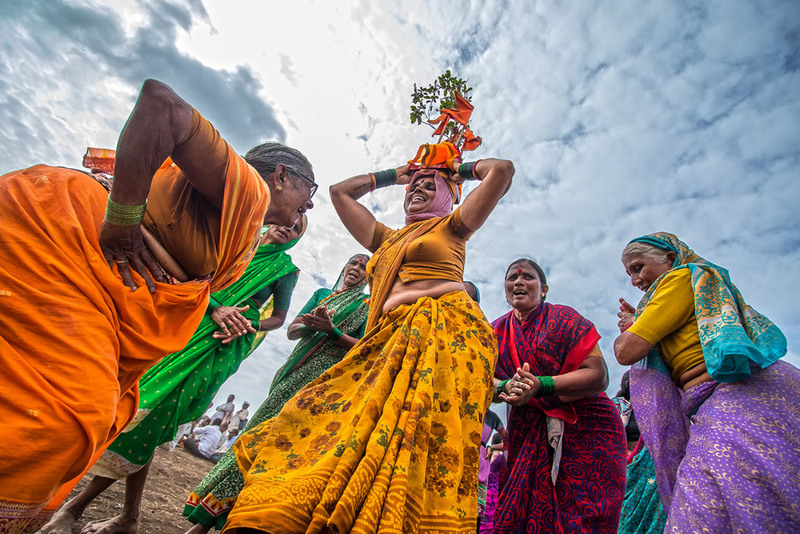 Devotees while carrying Tulsi (तुलसी) plant on their head into the holy Ringan Program. Food item and daily storage of devotees during Palakhi. 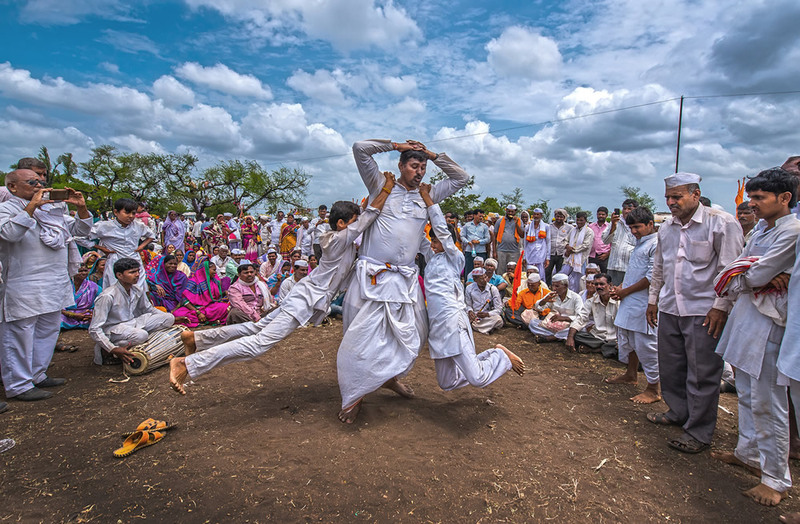 Fugadi dance by palkhi devotees. Devotee’s wish has been fulfilled hence he is rolling on the floor during entire Vari to thank God. 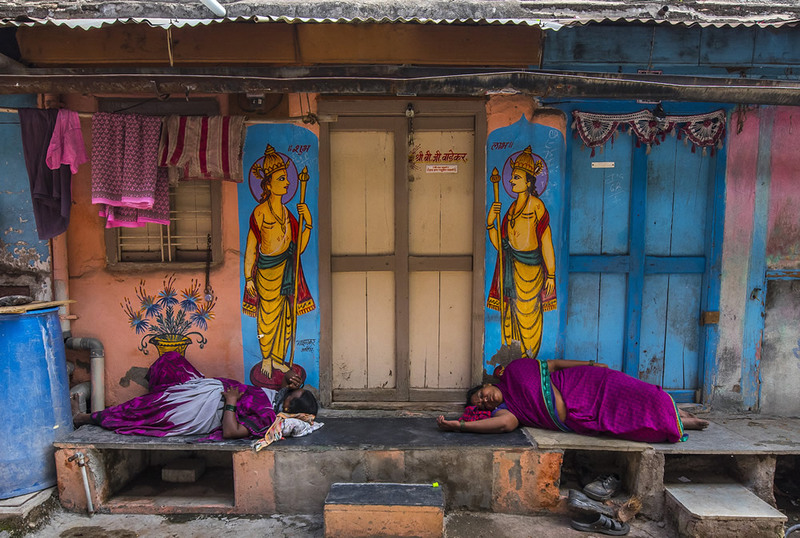 Devoteescape at ganpati temple, Pandharpur, Maharashtra. 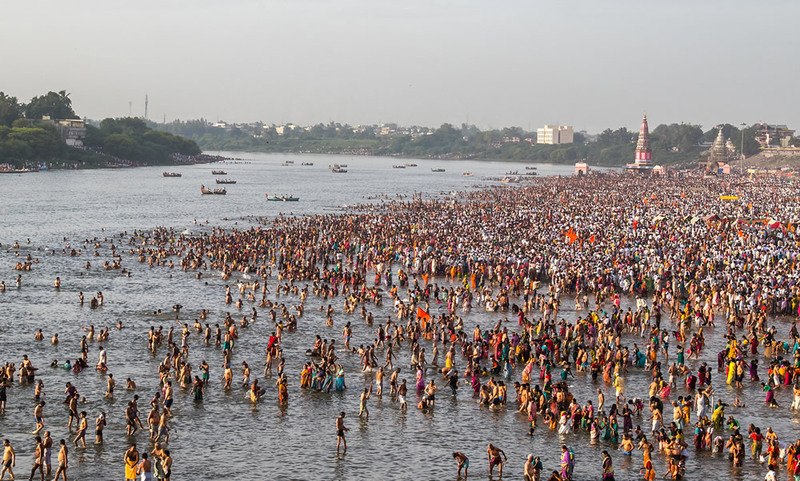 When Devotee arrives in Pandharpur, they bathe in Chandrabhaga River and then goes to take God’s Darshan. I am Mahesh Lonkar from Pimpri Chinchwad, Pune, Maharashtra. I have completed ‘Applied Art in Commercial’ from Government College which is Fine Art equivalent degree. I am Amateur photographer. 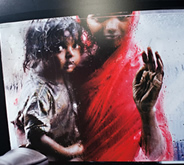 I’ve been doing photography since last 5 years. 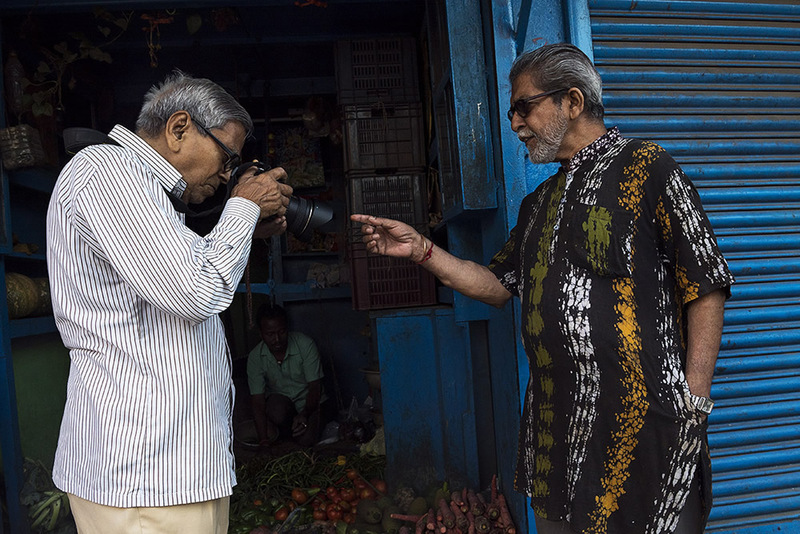 Culture and travel is main subject of my photography. Profession wise I’m a ‘Visual Designer’. Now I am working for Tata Motor’s upcoming vehicles as a Senior Visual Designer with TATA Elxsi Design studio. 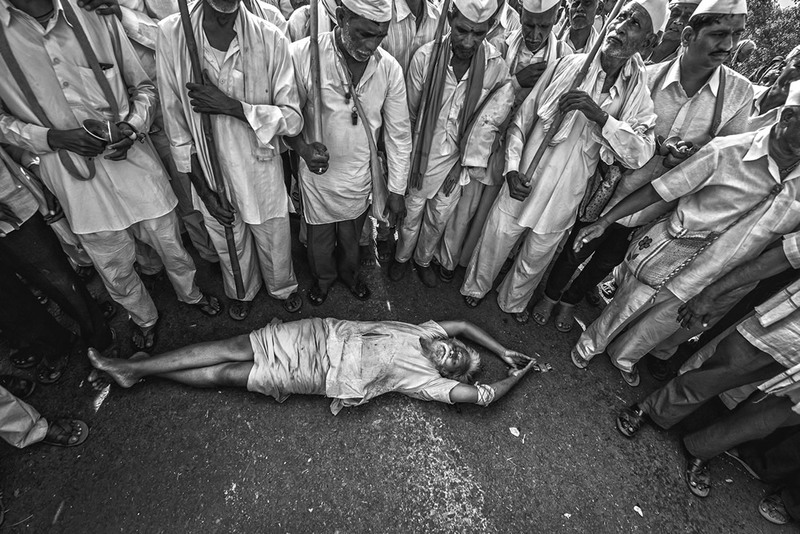 In the field of culture photography, I have been attending Palkhi festival in Maharashtra since last 4 years. 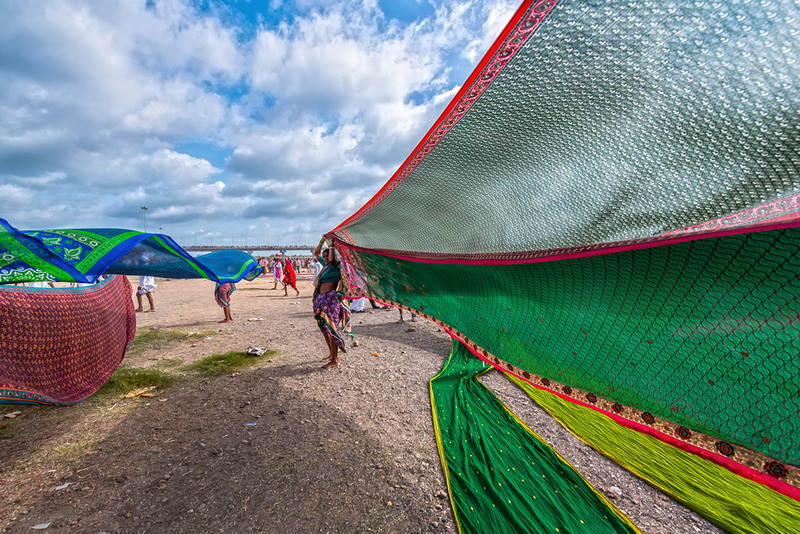 In this standard I attended various cultural festivals throughout India for photography. After Palkhi festival now I am working on all cultural activities of Jejuri temple in Maharashtra. 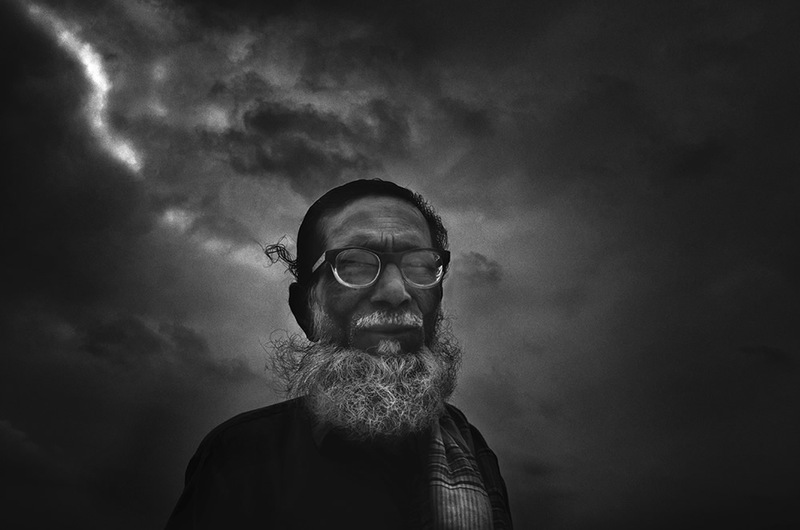 I have been honored in various national and international level photography competitions for my cultural photos. All the pictures in this post are copyrighted Mahesh Lonkar. Their reproduction, even in part, is forbidden without the explicit approval of the rightful owners. 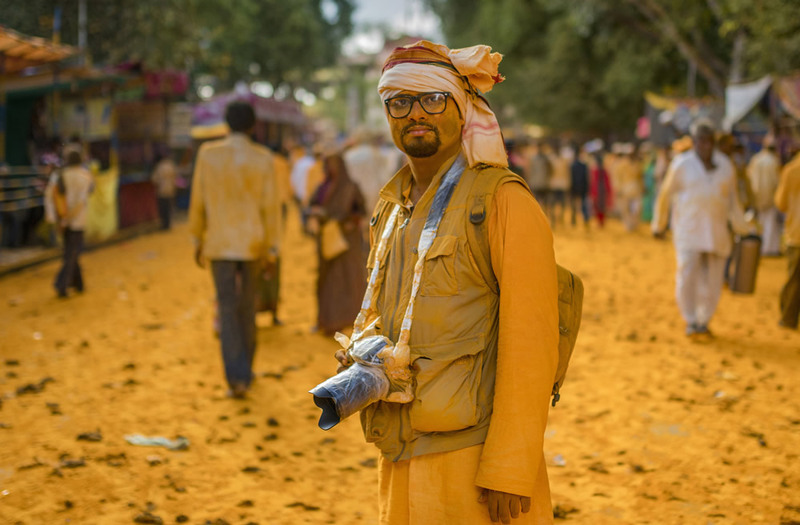 In personally he is a gentleman , gem of person & helps learning /new photographars .His dedication towards photography is mind blowing.